The Sixth State Reform, which entered into force on 1 July 2014, brought about substantial changes to the Flemish budget landscape. First and foremost, the size of the Flemish budget has grown significantly. Flemish resources rose from 27.45 billion euro in 2014 to 45.3 billion euro in the 2019 - budget draft, an increase of no less than 65%. In addition to major transfers of powers and resources from the federal level, the Sixth State Reform also provided for a large increase in Flemish tax autonomy. 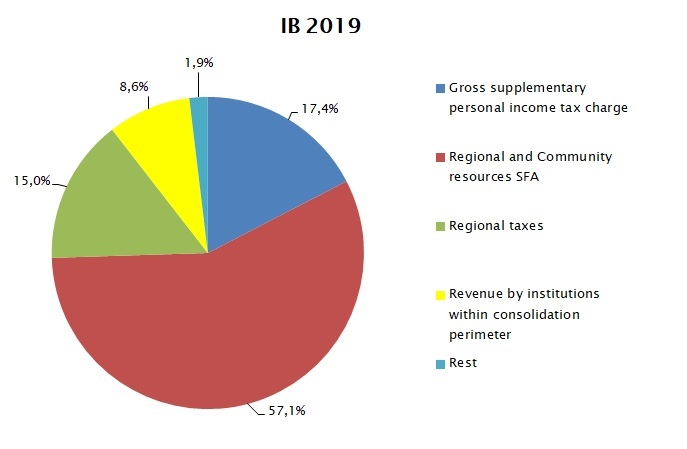 From now on, Flanders collects a larger part of its resources (33%) via its own fiscal instruments: regional taxes (15%), and the additional personal income tax charge, the so-called 'surcharges' (17%). Another consequence of the Sixth State Reform is that it ensures that the sub-regions now contribute to the recovery of public finances at general government level. For Flanders, this (annual) contribution amounts to 1.6 billion euro up until 2018, of which the major part concerns the two first years after the reform (750 million euro in the both the 2015 and the 2016 budget).